Audio content on our website can be accessed via the “Learn” link on the top navigation bar. 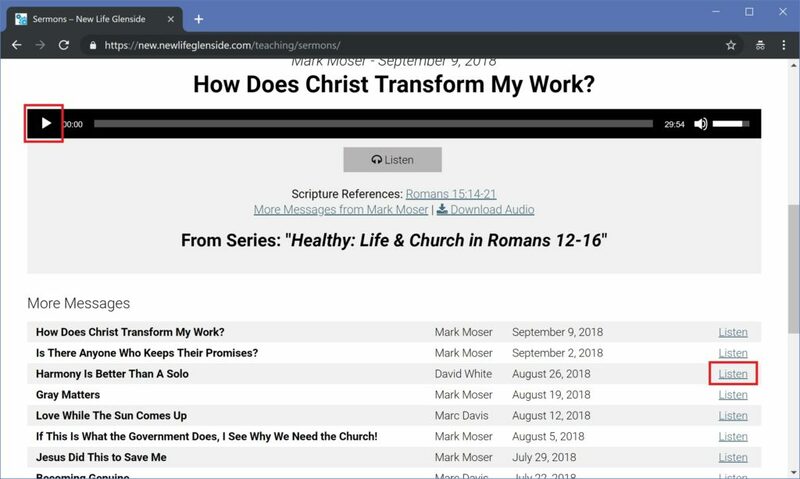 Our audio archives are divided into separate pages for each type of message (sermons, AdultEd, and Women’s Bible Study). To access these pages directly, click the appropriate link in the submenu. 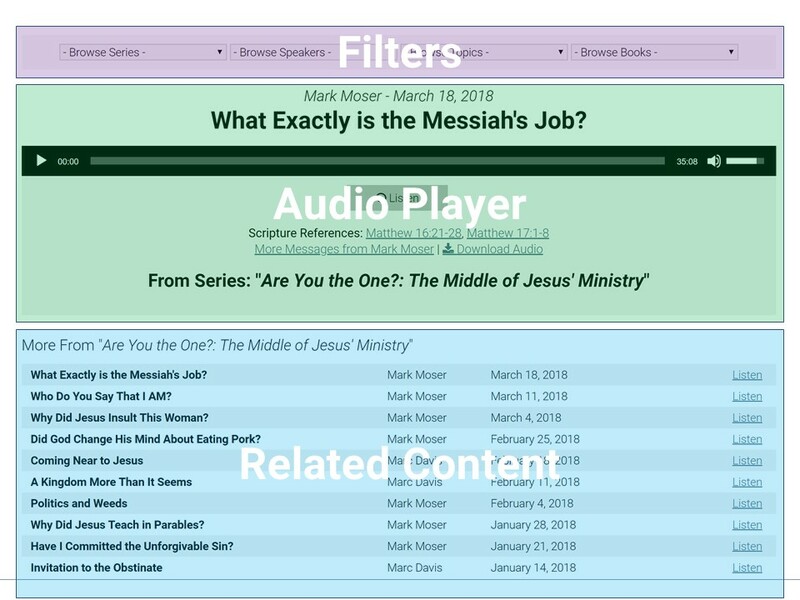 Filters – contains dropdown boxes to filter results by series, speaker, topic, or book of the Bible. 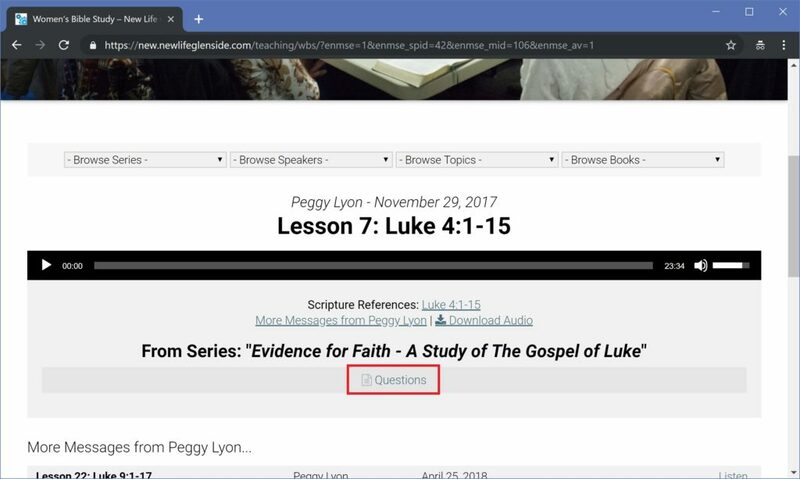 Each archive page displays only one type of message (sermons, AdultEd, or Women’s Bible Study). Use the dropdown boxes at the top to find what you’re looking for. 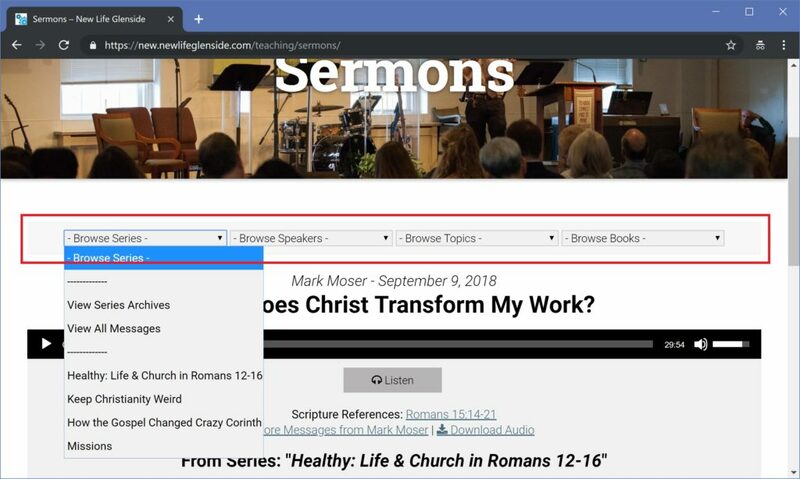 You can browse by series, speaker, topic, and book of the Bible. Upon selection, the page will refresh, displaying one or more results according to what you selected. It is not currently possible to filter using multiple selections. Click the Listen button at the end of each row to load that message — the page will refresh with the selected message displayed in the audio player section. Simply click the play button on the left side of the audio player to begin playback.